You may be new to IDX Broker or been using the service in blissful ignorance for years and always wondered how IDX Broker actually works. Here's a glimpse behind the curtain. IDX Broker is a third party servicer for MLS data. We take the raw data from each MLS and package that into a search friendly format made available to real estate websites. 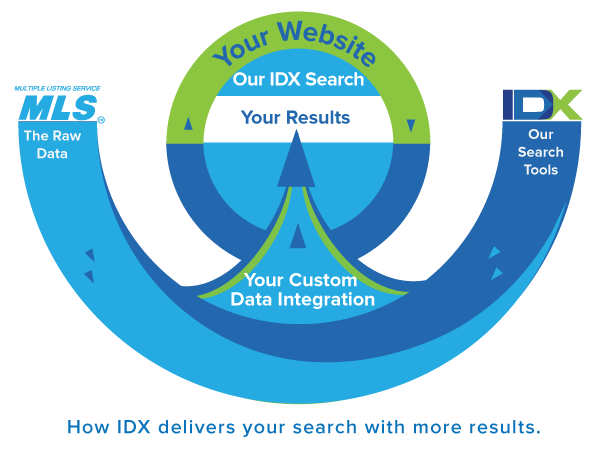 Search, result, and auxiliary pages are automatically created for each IDX Broker account and can be found by navigating to Designs-->Pages within the IDX Broker control panel. Naturally you don't want sterile, generic pages for all of your IDX searches, so IDX Broker has built in functionality to provide what we call wrappers. Wrappers clone the look of the rest of your website and apply this styling to the IDX Broker pages. When an account is first setup, our support team will create this initial global wrapper so that there is a seamless experience for your website visitors. Obviously your website will continue to grow and change. To accommodate this, you can create and enable a dynamic wrapper that will stay up to date with the changes on your site. Or we are happy to provide updates to your static wrapper complimentary twice a year. Now that you have the search pages and the associated results pages that match your site, you can link to these pages from your site navigation. This will provide a good workflow to allow your visitors to find the properties that they are searching for. You can even guide them by creating predefined search results, which we call Saved Links. These are great for SEO and takes the guess work away from a visitor who just wants to see all the homes in a specific neighborhood.